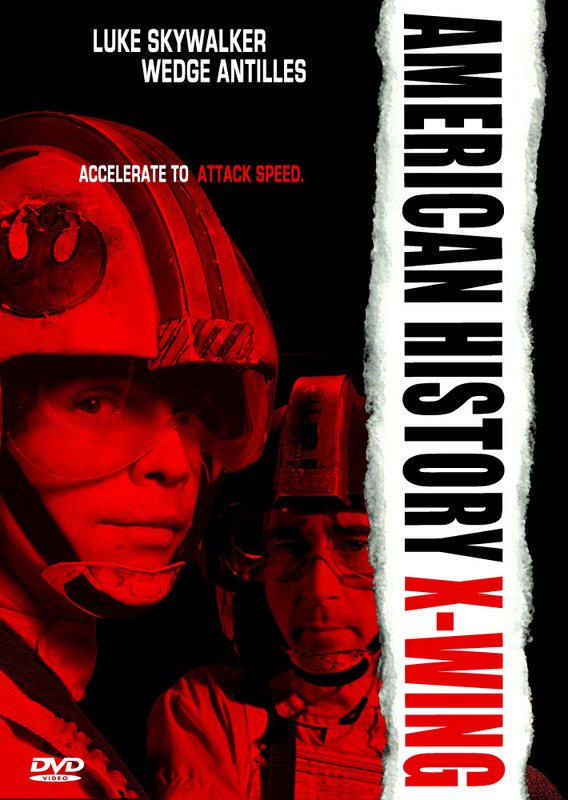 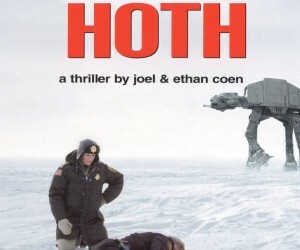 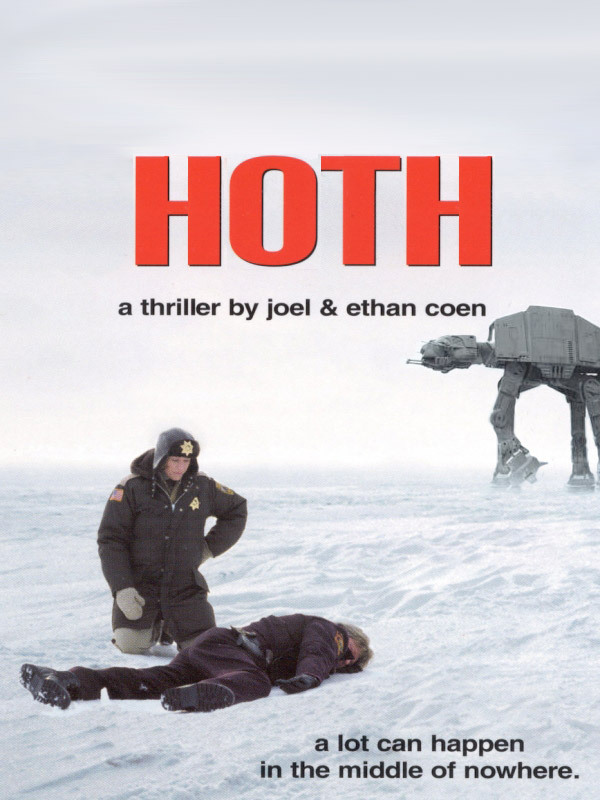 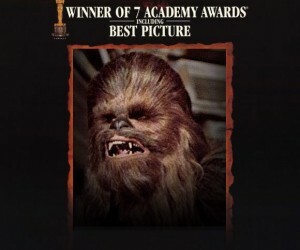 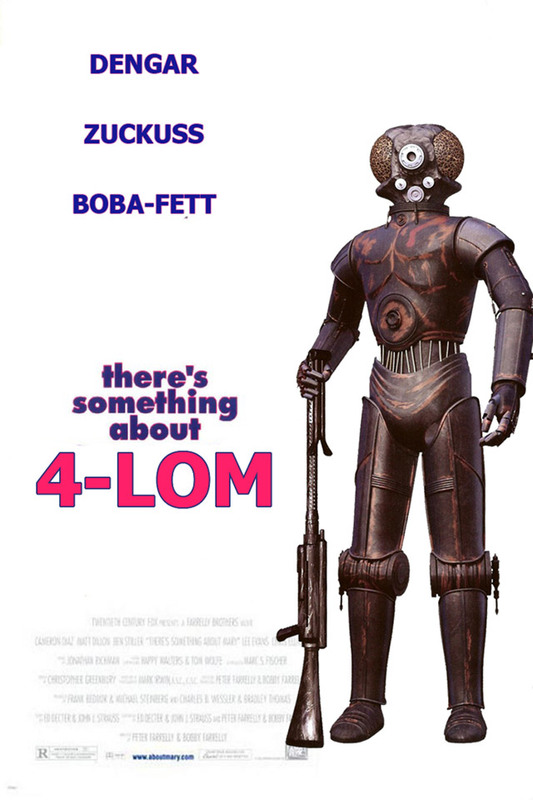 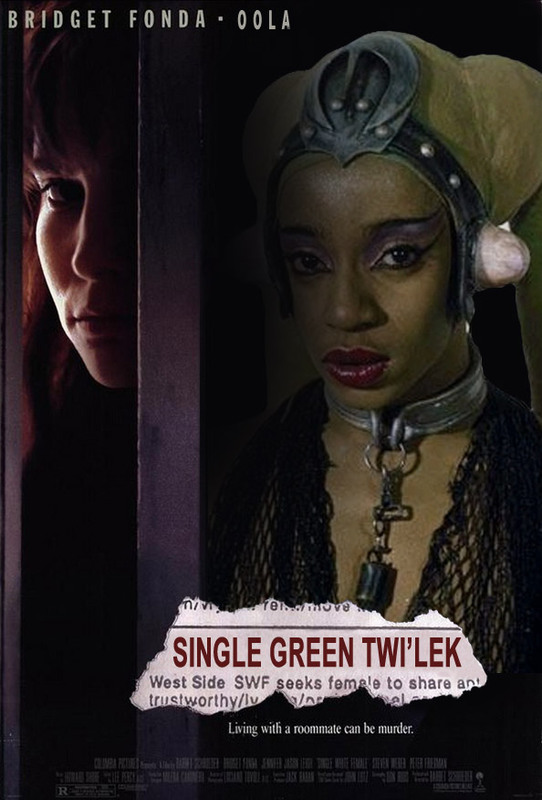 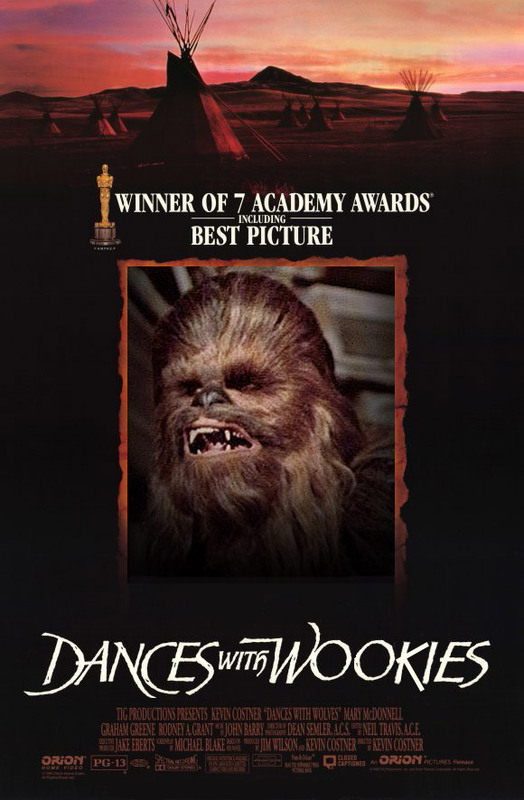 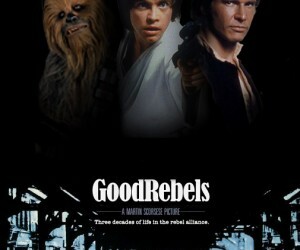 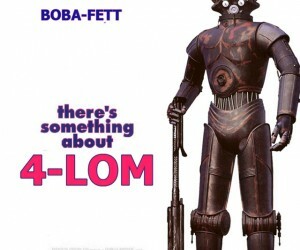 Artist Dan Polydoris, of the Internet, created these great mashups of famous movie posters and the world of Star Wars. 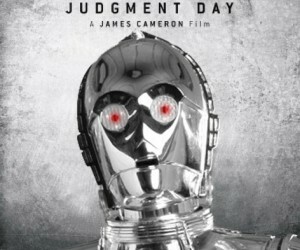 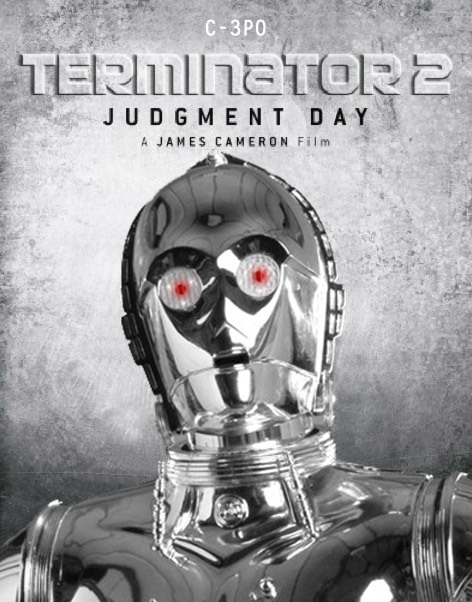 It’s a little disturbing considering our beloved C-3PO returning as a T-1000 Terminator. 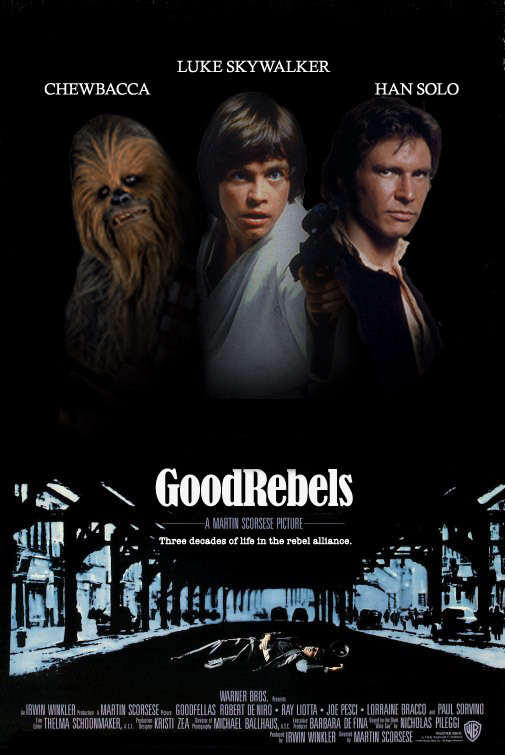 Besides, Carrie Fisher couldn’t do those chin-ups like Linda Hamilton.